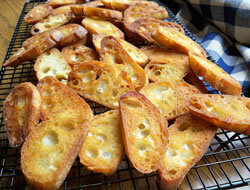 Garlic bread takes less than 10 minutes and is easy to grill up after the primary grilling is done. 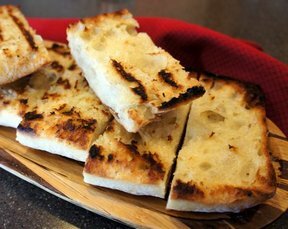 While the meat is resting and the table being set, put the garlic bread on the GrillGrates. Gently PRESS the bread onto the GrillGrates. Lift and turn. Press again. Lift and TWIST for beautiful sear marks. 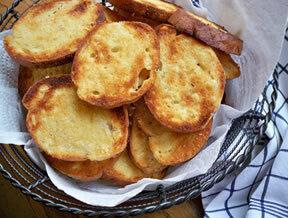 No need to defrost frozen Texas Toast- you'll know when its ready.